So, it is that time of year again here in Texas- HurricaneSeason( and I am not talking about the drink). Ourhistory of storms that have hit our coast has been varied;from the Great Storm of 1900 to Carla to Alicia to Ike.We even had multiple storms that destroyed Indianolamultiple times(that’s why it’s not there anymore). Wehave seen our share of rain, winds and no power; that iswhy I wanted to reach out to you and remind you toprepare for the storm that is in the Gulf in case it headstowards Houston. I just told Randy that we need to goget that generator we saw at Costco because we have yetto have a whole house installed. As fellow Texans thatare not crazy about heat and humidity, having a/c is vital!There are so many things we don’t think about when itcomes to being ready for a hurricane. 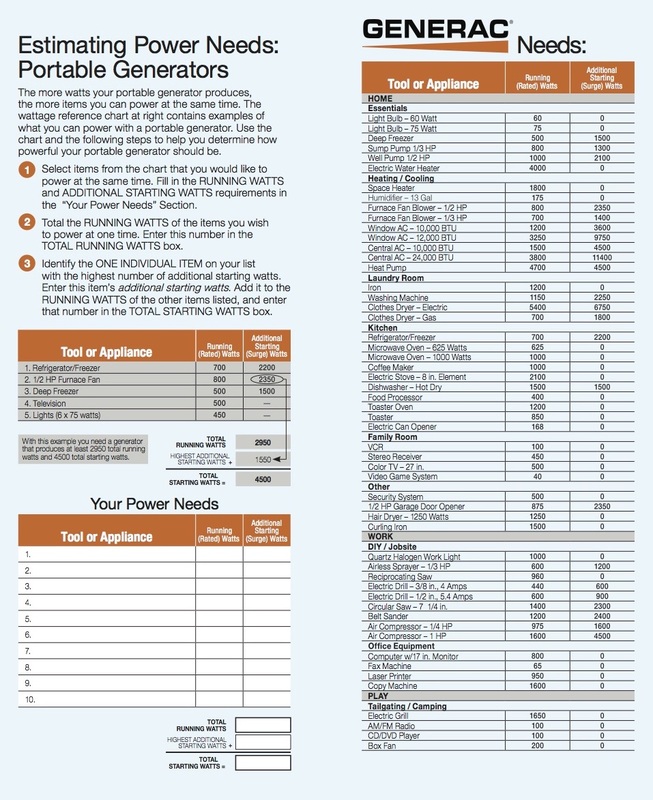 I am including mySUPPLIES checklist and a chart to determine howmuch generator you may need. Should a storm come ourway, please be safe and check in with loved ones so weknow you are safe. Hope to talk to you soon!